Working with a new tarot reader can be a nerve-wracking experience. Will they be honest? What if there’s bad news? Just how scary could this be? Well I can’t speak for every tarot reader you may be considering, but I can at least let you know what to expect from me, what I can and can’t do, and what it is I actually do during a reading. Firstly a bit about myself. I have been reading the tarot for more than twenty years, but started doing this full time in 2013 and became a member of the Tarot Guild; until then I had worked around my career in catering and hospitality. I come from a long line of psychics through my maternal grandparents, though I am the only one in my generation to use these gifts. 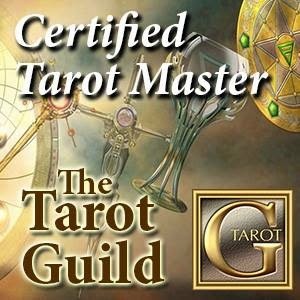 I am a certified tarot master through the Tarot Guild, and I am a member of the Tarot Association of the British Isles (TABI). 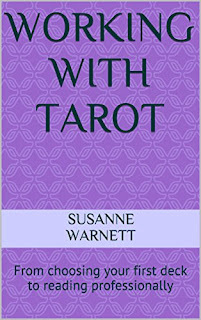 In 2016 my first book was published, "Working With Tarot: from choosing your first deck to reading professionally" and is available from Amazon. Aside from the tarot I currently co-host a weekly show on Angelic Realms Radio that discusses spiritual matters and offers free mini-readings; prior to that I was the co-host on “Dax Has Your Number”, a show that looked at the world using tarot and numerology. I also used to write a regular column for Soul Path Magazine giving a witch’s perspective on the topic of the month, and have contributed articles to Mookychick and "Witches & Pagans" magazine. You can find out more, including my qualifications, in the “About Me” section at the top of the page, so for now I will concentrate on what my readings entail. I am not a Medium, which means I don’t use angels or spirit guides to connect with you; instead I use the energy that connects us to see exactly what is going on for you right now, how you’ve got to this point if you are unsure of that, and what you can do to move your life forward. It is not the job of a tarot reader to tell you what to do. Instead I will help you to understand your situation as fully as possible and then we can see what the likely outcome is and if there are alternatives. The future is not set in stone, so it is up to you to decide how you proceed and how much responsibility you take. Sometimes you just need to keep things on track, but it is still an active process. There are a number of decks that I use, both tarot and oracle, that I select depending on the nature of the reading. For example my Old English tarot is quite traditional in style and is very practical in its readings, so it lends itself very well to career and finance issues, or anything that requires a more hands-on approach. My Wildwood tarot uses suits and majors that may be unfamiliar to most people, but it is incredibly powerful and is best suited to spiritual or emotional issues, particularly ones that involve improving yourself. The Deviant Moon deck is a great all-rounder and really gets to the point succinctly. It is great for uncovering the subconscious issues that may be influencing the situation that you are either unaware of or in denial about. I sometimes mix decks a little, because sometimes you need extra information. An example of this would be using the Old English tarot for a career reading, but then find that there is something going on behind the scenes so I might draw a card or two from the Deviant Moon deck to see what that is. Another possibility is that I use one of my oracle decks. I use the Enchanted Map oracle to see where you are on life’s journey so we can get an insight into how to tackle a situation, or I might draw a card from the Wisdom of the Hidden Realms oracle to give you a more direct message from the Universe as to how to move forward. One thing is certain; it is not my job to scare you or control you. I have a responsibility to be honest, even if I know it is not the answer you want, but my reading style is naturally optimistic. In all my years of reading the tarot I have learnt that no matter how dark or desperate you may feel your situation is, there is always a way forward, and it is my job to find that glimmer of light that you can grab hold of and change your life. I have a responsibility to inform you, empower you and be there for you as much or as little as you need, so don’t feel that once the reading is over you are on your own. A good tarot reader is your guidance councillor, and most of my clients come back every few weeks or months for an update and to make sure things are still on track. You can also contact me through social media in between readings to let me know how you’re getting on; the links are at the top of the page. I hope this answers most of your questions, but if you still have some then please get in touch and I will be glad to help.